Please read and accept the Terms and Conditions to gain full account access. This is essentially a taxi service where the driver will return to the start point empty. You will be charged a higher rate per km (normally 70-80LKR, but down as low as 50LKR if the trip is more than 250km). The driver will arrange and pay for his own food and accommodation if he decides to return home the next day. 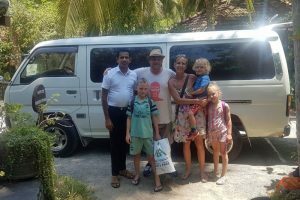 You should realise that with this option you will also have to organise and pay for day trip transport in the form of taxis and tuk tuks which can add up especially when visiting tourist areas. Sometimes, multiple one way hires can be cheaper than a round trip hire. It is a complicated calculation which has been simplified with the Trip Cost Calculator, which will compare both round trip and one way hire costs based on your trip parameters.